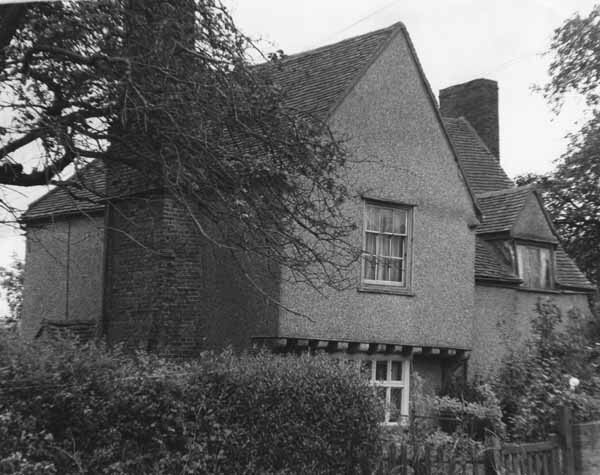 This was probably the original farmhouse of Morris's and lay about 150yds south of Wrightsbridge, in Wrightsbridge Road, and was part of the same tenement in the 17th century, and was probably identical with Malland (1625, and with Little Wrightsbridge (1695). 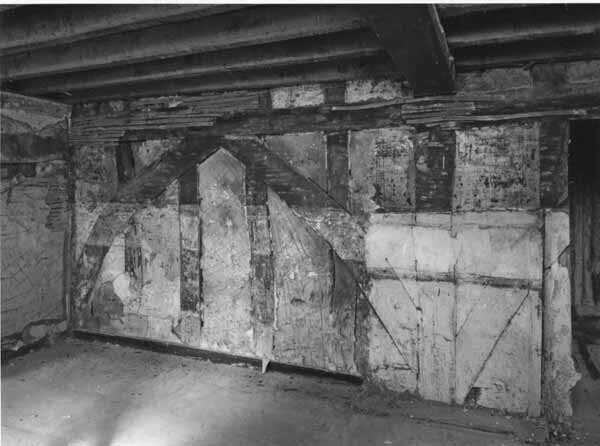 It comprised the northern half of a late 14th or early 15th century timber framed hall house. 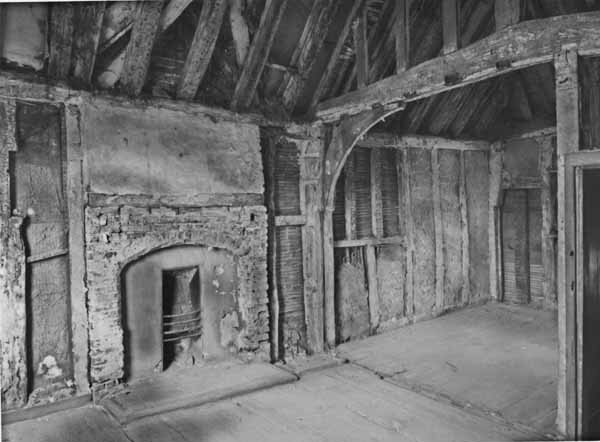 In the early 17th century the first floor was put into the hall, and the northern end was rebuilt in its present cross wing form. By 1707 Little Wrightsbridge had been detached from the Wrightsbridge estate. In 1707 it was in the hands of Elizabeth Cheveley and Martha Bronne, who may have sold it to John Smart on 18th April 1707, they subsequently sold it to Mr. Robert Doploy of South Weald on October 18th 1717. He apparently mortgaged it to a Jane Robinson on 27th June 1721. In 1741 it was mortgaged to a Mr. James Suckling, a yeoman of Hornchurch, by a Mrs. Rachel Copley, a widow of South Weald & James Suckling and his wife Rachel (this James Suckling may have been a relative of the above) for the sum of £100, dated 29th August 1741. James Suckling and his wife sold it to him on 17th October 1744 for £150. On 28th January 1756 James Suckling was bound to Mr. Richard Wright for the sum of £70 (he borrowed £35). On 3rd October 1754 it was mortgaged to Mr. John Powtrill by Joseph Suckling; (James Nephew) and his wife Mary, for the sum of £75; the place was apparently a Public house by then for it was known by the sign of "The Angel", The tenant at that time was a Mr. Simon How. On the back of this mortgage however it says. Be it remembered whereas Ezakial Murrel of Upminster in the County of Essex, Yeoman has agreed with the within named Joseph Suckling for the absolute purchase of the freehold and inheritance, Signed in 1762. He apparently paid the £35 to Richard Wright which was owed in principal and interest by Joseph Suckling. This sale was completed on March 16th 1762 for the sum of £150. On 4th May 1774, Ezakial Murrel sold The Angel to Mr. Zephaniah Waldron of Hornchurch, an Innkeeper, for £230. On the same day Ezakial Murrel bound himself to Zephaniah Waldron for £460. (He borrowed £230) The Angel next passed to William Emerson of Wapping, a sail maker, on 1st August 1776 when he paid £200 to Zephaniah Waldron for it. On 23rd March 1790, there is a release signed by Mr. & Mrs. Emerson and Mrs. Waldron, to John Catnick and Andrew Burt. (As far as I can make out, William Emerson had not paid all the money he was entitled to pay when Zephaniah died, thus Mrs. Waldron was in on the deal). Mr. John Catnick and his trustee sold it to George Williams on 31st July 1799. It was sold on 14th April 1814 by the Executors of Mr. Gorge Williams (deceased) to whit Thomas Bridge of Buttsbury, a farmer, Thomas Mansfield the elder of Ongar Park, Chipping Ongar a farmer and James William Porter of Writtle, a merchant: to Thomas Williams of Chipping Ongar, a brewer, for £400. He along with his trustee, Mr. Robert Evatt of Chelmsford, sold it to Thomas Davis of Old St, in London for £742: 10s. Roger Reed was the sitting tenant at this time. On 23rd September 1818 it came into the hands of Sir Thomas Neave of Dagnam Park, and his trustee, Mr. Wasey Sterry of Romford, for the sum of £392: 10s. 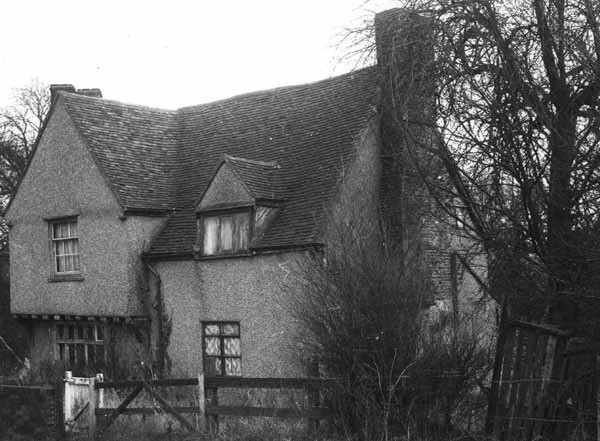 He converted it back into two cottages and added it to Hill Farm, which was sold in the 1919 sale to Matthew Watt. At that time Messrs. R. Watt and sons were the tenants of one of the cottages and Mr. E.W. Padfield was the tenant of the other cottage. In the 1970's a businessman, Mr. Len Saxby bought it and spent £85.000 on adding and "improving" it out of all recognition. When the M25 Motorway came past it five years after he had bought it, he could not stand the noise and sold it to the District Valuer, as no one else would buy it, he then moved to Cornwall. Although he had known about the motorway when he bought the property, the motorway was supposed to have gone under the Wrightsbridge Road, but when the designers changed it and made it pass over the Wrightsbridge Road, high up, it not only blocked his view of anything on the Noak Hill side of his property but exposed him to the noise and fumes from the motorway. So who can blame him for getting out. It's just a pity that the Angels was destroyed before he left. I have some clear personal recollections of the Angels Cottages going back to the late fifties. As children we would ride past on our bikes on our way to South Weald. We would often stop there because across the road on the verge opposite the house was a stand pipe which was the only water supply to the cottages. We would take a drink and then look over the gate into the garden where we were fascinated by a caged Magpie. 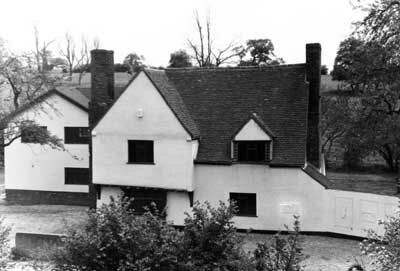 The tenants at the time were Billy Ovall in the left hand cottage and his sister Winifred in the right. We didn't often see them but they appeared to us to be pretty elderly. In 1964 aged 15 I went to work as a farm labourer at Wrightsbridge Farm just over the bridge. 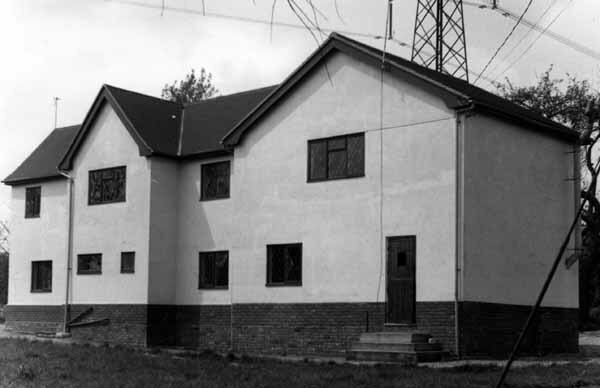 The father of Stuart Davis leased the farm and buildings from Sir Hubert Ashton and it consisted of about one hundred acres between Wrightsbridge Rd and down to Weald Brook, much of it now under the M25 Motorway. This section of the motorway was completed between 1979 and 1982. Stuart's parents lived in Wrightsbridge on the corner and Stuart and his young family lived in the first house on the right, before Ashton's pile. Stuart's father revelled in being called the Squire but his mother seemed much more modest to me and did voluntary work delivering meals on wheels. Stuart's father was not a farmer but something in the city, Walt Disney Corp, I think He was retired by the time I worked there. The land backed on to the Angels and on one occasion whilst skiving off work and walking along by the brook I came across Billy doing his washing in the brook. Which went some way to explain why his washing hanging on the line always appeared a rather dirty shade of grey. I was led to understand that Billy was retired but had worked for Robert Watt of Hill Farm for many years and in fact still did do occasional odd jobs for him. I recall on one occasion being told that he was "laying a hedge" in the fields behind the cottage between Dagnams walled garden and Weald brook. I went to have a look and for the first time saw a section of expertly laid hedge, he was obviously a skilled farm hand. 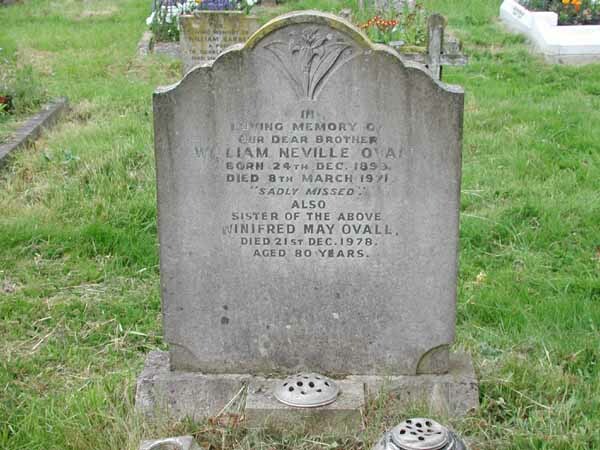 Billy died at the Angels in 1971 and his sister followed in 1978 dying in care at Collier Row. They are both buried in St Thomas Churchyard at Noak Hill. 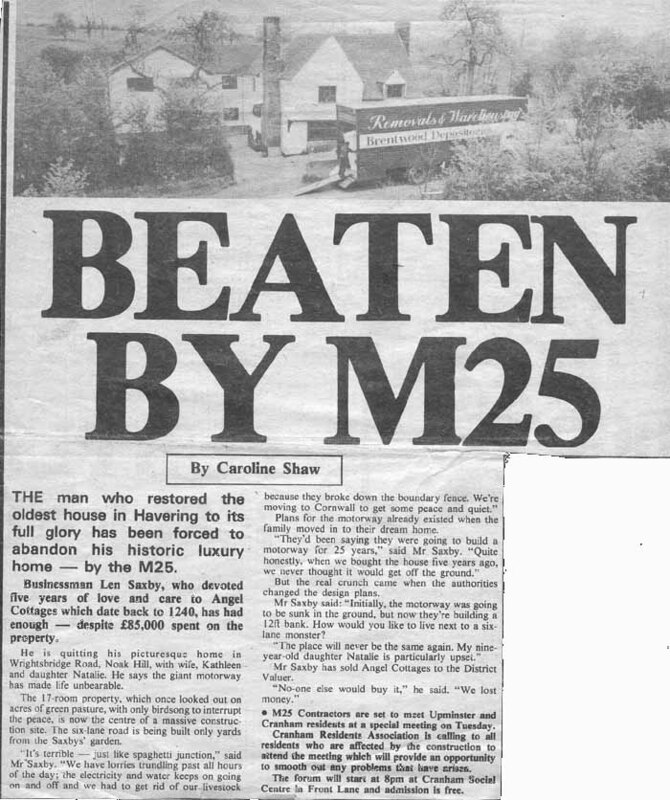 Mercifully both deaths occurred before the coming of the M25. I am unsure of the present status of what was Havering's oldest listed building. Boundary changes in the 1990's meant that the Angel went from Havering into Brentwood, this was a result of the historic boundary line of Weald Brook being replaced by the M25 motorway. Considering the nature of the M25 it seems a reasonable move. And when you thought it couldn't possibly get any worse. 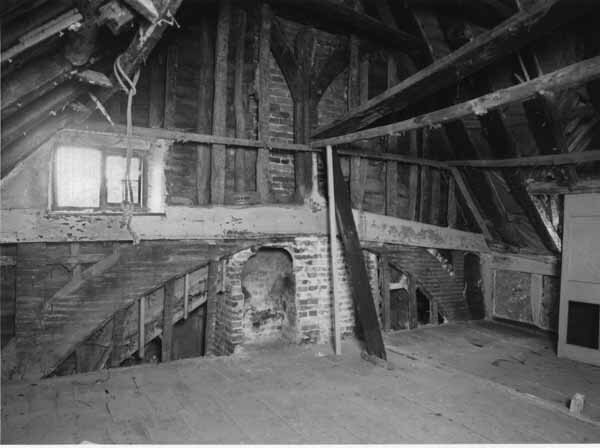 Four pictures (three below and one opposite) of the interior taken in about 1979 after all the lathes and plaster had been stripped away. 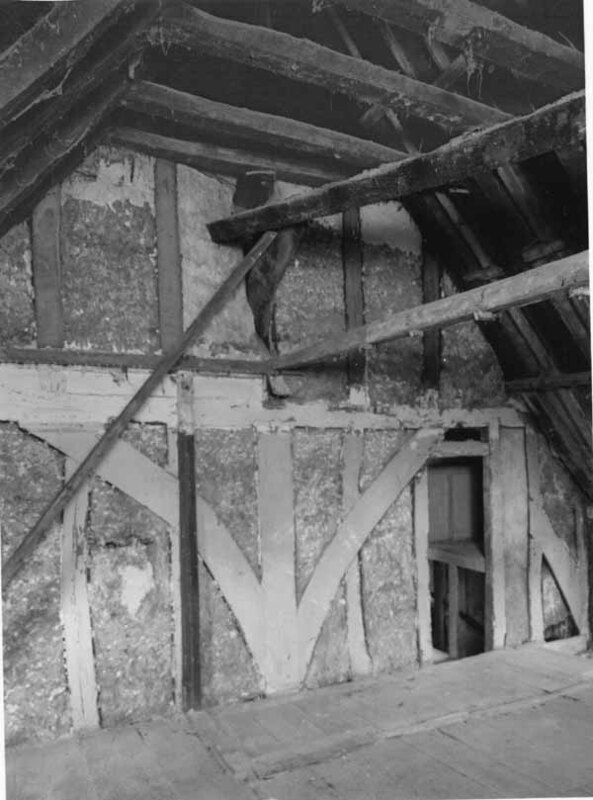 The next two pictures, front view first, were taken in the 1980's after the "renovation" I am not an expert but it seems to me that it bears very little resemblance whatsoever to the original pair of cottages, it is in fact a complete demolition, all that remains is some of the original timber structure, all concealed internally. Len Saxby moved out in 1981 leaving the Angel Cottages changed for ever, or as the Recorder put it "restored to its full glory" Sadly that wasn't the case, aided and abetted by the local planning authority good old Len destroyed Angel Cottage. Below a cutting from the Romford Recorder in 1981.